Currently a Visiting Senior Research Fellow of the Centre for Defence Studies, in the Department of War Studies, King's College, London, Julian read Philosophy and Politics at Oxford before specialising in Strategic Studies. He was awarded his doctorate in 1981 and a book based on his research, Changing Direction: British Military Planning for Post-war Strategic Defence 1942–47, was published in 1988. A second edition, based on newly-declassified archives, was published by Frank Cass in 2003, and as a University paperback by Routledge in 2008. Julian's latest book, published by Pen & Sword in 2011, is Racing Ace, the story of the Great War and Schneider Trophy pilot, Samuel Kinkead DSO DSC* DFC*, who died in 1928 in a forerunner of the Spitfire whilst attempting to break the World Air Speed Record. 'Kink' is buried at Fawley in New Forest East. It was selected by Andrew Roberts, in the Sunday Telegraph magazine, as one of his three favourite 'Books of the Year'. Throughout the 1980s, Julian was a leading opponent of one-sided nuclear disarmament by the United Kingdom. In Parliament, he has continued to pursue the retention and renewal of the British strategic nuclear deterrent, the Trident Successor programme. Following the decision, on 18 July 2017, in favour of renewing the deterrent submarines, Julian's principal campaign has been to raise Defence expenditure from barely 2 per cent of GDP to the 3 per cent level always achieved and surpassed until 1996. Although a supporter of humanitarian military campaigns in the past, Julian was one of the most prominent opponents of British intervention against the Syrian Government in 2013. Had the motion in favour of the principle of military action not been defeated (by a margin of only 13 votes) on 29 August 2013, he believes that the United States also would have launched an attack to bring down the regime – with gravely adverse consequences for Western strategic interests. Julian was born in 1951 and educated in state schools in Swansea (Sketty and Dynevor) before going up to Oxford (Balliol and St. Antony's). In the late 1970s, he waged a campaign to expose the activities of Trotskyist Militants in the Labour Party – a decade before they were eventually expelled. 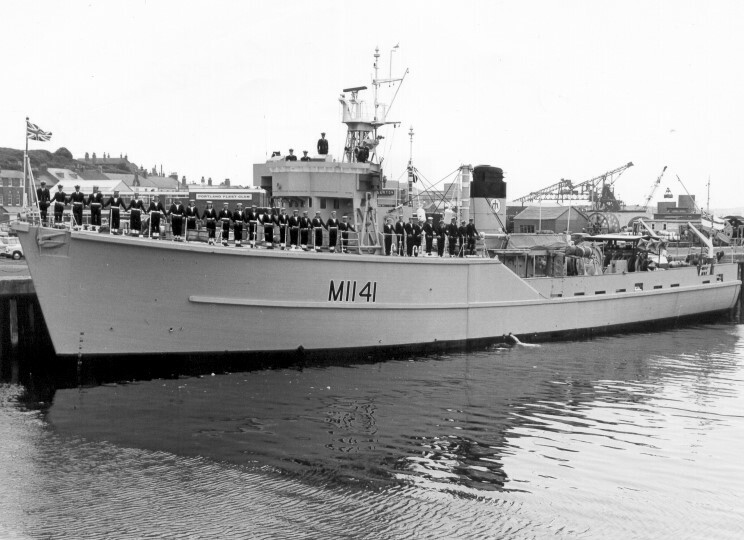 Julian then joined the Royal Naval Reserve, serving as a Seaman on the Southampton-based minesweeper, HMS Glasserton. Between 1981 and 1985, he was a leader of the anti-CND campaigns waged by The Coalition for Peace Through Security, and by the Conservative Party. He briefed many politicians during the nuclear weapons debate and was Conservative Parliamentary Candidate for Swansea West in 1983. In 1985, he became Director of the political consultancy Policy Research Associates, which successfully campaigned for changes in the law on Educational Indoctrination, Media Bias, Propaganda on the Rates, and Trade Union Democracy. Four years later, Julian Lewis and John Bercow – elected Speaker of the House of Commons on 22 June 2009 – began a series of Advanced Speaking and Campaigning Courses for Conservative activists. Over 60 of these were held in Conservative Central Office and elsewhere, including several in Eastern Europe and the United States. Julian was appointed Deputy Director of the Conservative Research Department in February 1990 and Director of the CCO Media Monitoring Unit in 1995. His role in forcing the Labour Opposition to retreat from its one-sided nuclear disarmament policy was publicly acknowledged in July 1991, but he resigned his CCO posts in December 1996 to oppose Britain joining a single European currency. In February 1996, he was selected from 179 applicants to be prospective Conservative Parliamentary Candidate for the new seat of New Forest East. He was elected to Parliament in May 1997, and re-elected in June 2001, May 2005 and May 2010 with a majority of more than 11,000. In February 2000, Julian was appointed as one of the three Conservative Members of the Select Committee on Defence. The following month he was elected Vice-Chairman of the Conservative Parliamentary Foreign Affairs Committee and European Affairs Committee, in succession to the late Michael Colvin. He stepped down from these posts on joining the front bench in September 2001 as an Opposition Whip. He was promoted in November 2002 to become a Shadow Defence Minister, specialising in the Royal Navy, Royal Marines, nuclear deterrent and other strategic issues. During his time as Shadow Minister for the Cabinet Office, in the months leading up to the 2005 General Election, he repeatedly tackled Labour's Alan Milburn at the Dispatch Box, exposed the mass shredding of Government documents and took the lead in countering Labour abuses of the new Freedom of Information legislation. Julian previously served for four years as Secretary of the Conservative Parliamentary Defence Committee, and has taken part in the RAF's programme for the 1998 Armed Forces Parliamentary Scheme, in the RAF's 2000 AFPS graduate programme, and in the Royal Navy's 2004 AFPS graduate programme. He is an AFPS member of the Royal College of Defence Studies, which awarded him a prize for his 2006 course dissertation and published it as a Seaford House Paper. In April 2006, the Royal United Services Institute for Defence and Security Studies announced that Julian had been awarded 1st Prize in its 2005 Trench Gascoigne Essay Competition for his paper on Nuclear Disarmament versus Peace in the 21st Century. He won the 2007 RUSI Trench Gascoigne Essay Competition for a further paper entitled 'Double-I, Double-N': A Framework for Counter-Insurgency. From May to July 2008, he initiated and organised the successful campaign to change the Freedom of Information Act so that a dangerous High Court ruling, that 14 MPs' home addresses should be published, could never be repeated in respect of any other Parliamentarians. More than 250 backbenchers from all parties, as well as members of the Government and the Shadow Cabinet, supported this campaign. From July 2008, he initiated a second campaign to give candidates standing in General Elections the choice whether or not publicly to reveal their exact home addresses. This was incorporated into the Political Parties & Elections Bill, following Free Votes on his amendment in the Commons on 2 March and in the Lords on 17 June, 2009. In December 2009 and December 2010, he was one of the 'Frontbenchers & Backbenchers of the Year', chosen by commentators on the ConservativeHome website. However, as a result of the creation of the Conservative/Liberal Coalition, the post which he had been 'shadowing', that of Armed Forces Minister, was allocated to the Liberal Democrat Defence Spokesman. Julian was previously described by the Parliamentary sketch-writer of the Daily Telegraph (18 July 1998) as "one of the most vigorous Right-wingers in the Commons"; by the BBC World Service (27 February 1999) as "one of the foremost opponents of further [British] integration with the rest of Europe"; and by the Guardian as the Conservative Party's "front bench terrier" (5 January 2005). He has also played a leading role in the successful local campaigns to save Dibden Bay from becoming a giant container terminal; to save Calmore, Fawley and Manor Infant Schools; and to save New Park – home of the New Forest Show – from development as a campsite. Julian spoke and voted against the trebling of student tuition fees in 2010 and the proposal to remove the New Forest from public ownership and control in 2011.